New Zealanders – Come On Down Under!! 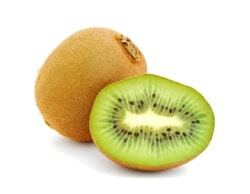 Kiwi Fruit – Australians love it! We are often contacted by New Zealand citizens who want to discuss their residency status in Australia. This is an area of law which has seen much change in the last 12 years. Here, we’ll give you straightforward answers to the most common questions that we are asked. A common myth – New Zealanders don’t need a visa to enter Australia. Everyone in Australia – apart from Australian citizens – must hold a visa in order to be lawful in the country. When a New Zealand citizen travels to Australia, they do not need to pre-arrange a visa. A visa (called a “Special Category Visa”) is issued at the airport on arrival – provided health and character requirements are met. This visa will allow the NZ citizen to enter, live, work and study in Australia for as long as they like. There is no expiry date on the visa. However – involvement in criminal activity can cause the visa to be cancelled, and can result in re-entry bans to Australia. Entitlement to Benefits in Australia. Previously, a New Zealand citizen could enter Australia and have pretty much the same rights and entitlements as an Australian, while on the Special Category Visa. New Zealand citizens who were in Australia on 26th February 2001 hold the status of “Eligible New Zealand Citizen”, also called “Protected SVC Holder”. These lucky individuals can access the full range of social security benefits available to Australians; and may also become Australian citizens. This all changed on 27th February 2001, when a new bilateral social security arrangement between Australia and New Zealand took effect. New Zealanders who arrived in Australia on or after that date are called “Non Protected SCV Holders” and have a much more complicated arrangement. They cannot access the full range of social security and benefits, although there many be some entitlement for people who have resided in Australia for more than 10 years. There’s a good article here by the New Zealand Ministry of Foreign Affairs and Trade, which explains the social security entitlements of New Zealanders in Australia. Read the article…. Why would a New Zealander want to become an Australian citizen? There’s lots of reasons – but for many people, it’s about their kids. The children of NZ citizens have the same visa status as their parents. So, as a NZ child grows up in Australia, there may be a number of things which they are not entitled to. For example, Australian students can access the Higher Education Loan Program (HELP) which allows them to defer payment of university tuition fees. Currently this is not available for overseas students – however recent government reforms mean that from 2015, this program will become available to NZ students in Australia. If a non-protected SVC holder enters into a relationship with a person who is not Australian, they cannot sponsor that partner for a permanent Australian visa. They can only secure a New Zealand Family Relationship visa, which is temporary for 5 years, and allows the partner the right to live in Australia while they are in a relationship with the New Zealand citizen. There’s no pathway to permanent residency from here. So, often parents will seek citizenship for themselves and their families, to broaden the options for their children later on in life. New Zealand citizens who plan to live in Australia for the rest of their life, will often seek Australian citizenship so that they can be confident that future immigration law changes will not adversely affect them. How can a New Zealander gain Australian citizenship? Protected SVC holders can apply for citizenship the same way as any other permanent resident would. However, the only way a non-protected SVC holder can become an Australian citizen is by first applying for an Australian visa which will give them permanent residency. Options would include Partner visas; skill based visas, and employer sponsored visas. The eligibility criteria are the same as for anyone else, although for the employer sponsored visas, there are some age and skill concessions for people who have been working for their employer for more than two years. Once the person has met the residency requirements for citizenship, they can simply apply. Getting a visa for Australia is a very costly exercise – and has become more so in the last 12 months, with dramatic increases in visa lodgement charges. In spite of this, there is still strong demand for Australian citizenship. The net population flows between New Zealand and Australia are strongly in favour of Oz at this time. Need advice on whether Australian citizenship is right for you – and how to get there? Contact us for a confidential chat!